Lunenburg Family Health is raising the bar for patient-centred care. 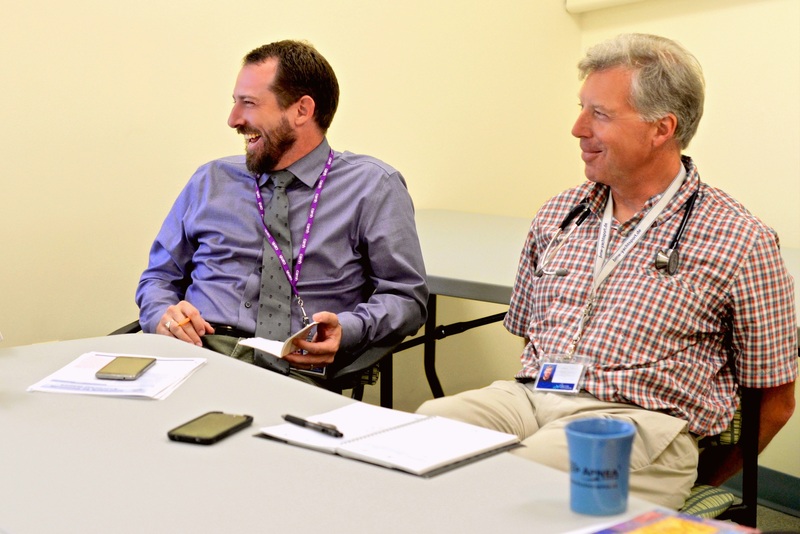 As they comprehensively serve the residents of the seaside town of Lunenburg, Nova Scotia, this team works hard to reflect the ideals of the Patient’s Medical Home (PMH) model. The secret, says Dr. David Martell, is fostering collaborative relationships between physicians and their patients as well as within the practice. “We make decisions together that affect the health of the whole clinic’s patient population and, by extension, that of the wider community,” says Martell. The practice has been running for eight years, and is composed of five doctors, a nurse practitioner, a family practice nurse, and an addiction/mental health counselor. A clinic manager and four administrative assistants ensure the machine is well oiled. “Our whole is greater than the sum of its parts,” Martell says. Team building activities include case management meetings, administrative time spent together, and casual dinners to thank departing learners—the team often takes visiting medical students and family medicine residents under its wing, providing support and training for the next generation of physicians. And of course, Martell points out, these bonding exercises result in greater efficiency and a smoother work day. In keeping with the PMH pillars of timely access and evaluation, the practice also makes time to gauge its effectiveness as a health care hub. In addition to gathering feedback from patients in order to locate gaps in treatment, Lunenburg Family Health regularly has a “check-up” to ensure the best possible results for the community. In 2016, the College of Family Physicians of Canada awarded Dr. Martell the Reg L. Perkin Award, making him Nova Scotia’s family physician of the year. We are proud to call Lunenburg Family Health a PMH success story.